AP ECET 2019 Application Form can be filled till 2nd April 2019. 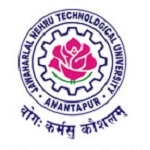 AP ECET is a state level entrance exam which is organized by the Jawaharlal Nehru Technological University Anantapur. Andhra Pradesh Engineering Common Entrance Test will be conducted for diploma and B.Sc (Mathematics) degree holders. This examination is managed on the behalf of Andhra Pradesh State Council of Higher Education (APSCHE). Candidates can get admission in second year of B.E./B.Tech and in regular B.Pharmacy courses. In this article, we have provided the How to fill AP ECET Application Form 2019. AP ECET 2019 Application Form can be filled till 2nd April 2019 with late fee. Check here for application details. Candidates can fill the application form after reading the AP ECET information brochure carefully. Candidates have to fill the AP ECET application form through online mode only. No other mode is available for accepting the application form. The application form can be filled from 18th February 2019. The last date to fill the form will be 2nd April 2019 (with late fee). Candidates have to upload the passport size photograph and signature in an online application. Must take a printout of filled in application form for future references. On the home page of website, click on ‘Fee Payment’. The payment webpage will appear on screen. Fill required details like Qualifying Exam Hall Ticket Number, Candidate’s Name, DOB, Mobile Number, E-Mail ID, etc. Click on ‘Initiate Payment’ button. Click on Credit card button, Fill all credit details and click on ‘Pay’ button. On successful submission of payment, a ‘Payment ID’ will be generated along with ‘Transaction is Successful’ message. Note down your payment ID and proceed to fill ‘Application Form’. You can check your application status by clicking on ‘Know Your Payment Status’ tab. Enter your Qualifying Examination Hall Ticket No and Mobile Number. Click on the “Check Payment Status” button. Candidates an check the status of failure or successful of payment. Now, fill application form by clicking on tab ‘Fill Application (only after fee payment)’. Fill payment reference ID, qualifying examination hall ticket number, mobile number and date of birth and click on ‘Proceed to fill Application’. Fill details such as qualifying examination (diploma or degree), hall ticket number, SSC or 10th class hall ticket number, caste category, ration card number, aadhaar card number and etc in the application form. Click on ‘Save’ or ‘Preview/Submit’ button. You will get the message of temporarily saved data. Upload the passport size photograph in .jpg or .jpeg format. Candidates have to upload the passport size (size should be of 30kb) photograph and signature (20kb). On uploading the images click on the save to save the data. You can also select ‘Modify and Confirm/Freeze’. Print your application form only after successful submission of application form. Click on the “Print Application Form”. Fill the required details like Payment Reference ID, Registration Number, Qualifying Examination HallTicket No, Mobile Number and DOB. Click on the “Get Application Details” and take printout of it. You can also make corrections from the menu given on the home page of website in prescribing period. Keep the filled-in online application form for submitting in the test centre. If you have any query related to the How to fill AP ECET 2019 Application Form, you can ask us by leaving your queries in the given below comment box. I have applied for ecet successfully. Even messages are coming to me from sarvgyan and Bennett(websites) for applying ecet.Is it a problem to me? Please reply the answer for this question. I will be thankful to you. If you got the answer then no problem. At what date before, the income and caste certificate should be there? I have income certificate of 2013. Will it possible for uploading income certificate and on or what date the certificate should be ? But signature photo is not good,but not bad. It s compressed in the application.